It's here already... Our annual Cookie Tour is this weekend November 14th & 15th. Stop in and see all the changes in the shop, eat some cookies, grab a recipe, earn your cookie cutter while you shop for the upcoming sewing season and earn some Christmas cash. We also have some new demos to share. Christmas Cash is back!!! All through the month of November each dollar you spend you earn one dollar back in Christmas Cash to spend in the month of December. You also earn your preferred customer points!! Double it up. 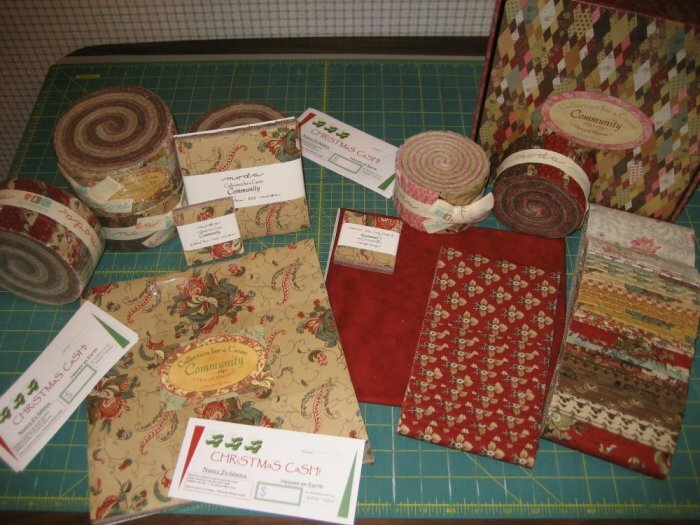 Pre-cuts of Collection for a Cause Community have arrived, along with a beautiful quilt kit. As always 1800's fabrics in gorgeous pinks, reds, browns, creams and smoky blues. A must see and feel.